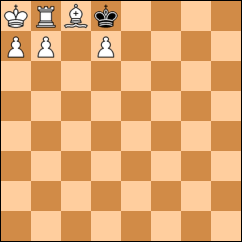 Yesterday I posed the following puzzle: is stalemate possible in chess if it is legal to move into check? Give it some thought first, then see my answer below. Although the kinds of stalemate which are likely to occur in actual play depend on the fact that it is not legal to move into check, a more restrictive stalemate is possible. 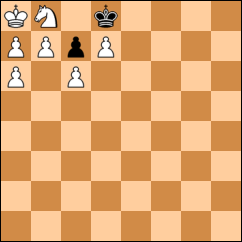 In the following two positions, white is in “super stalemate”, with no legal moves even if they could move into check. Technically, one also has to verify there is some legal sequence of moves which produces such positions. In these cases it is tedious but completely straightforward to do.